Respecting the tradition and culture of Halkidiki, we designed four buildings with traditional architecture that blend with the character of the surrounding area. Lily Ann Village Hotel offers accommodation with personality and modern comfort, good taste and great views. 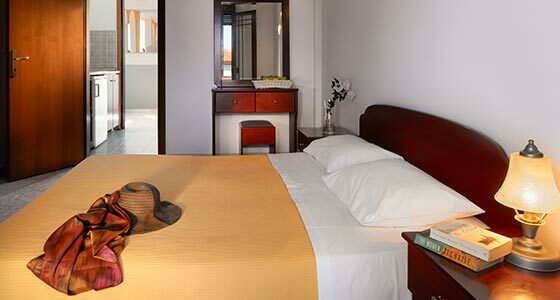 We provide comfortable and spacious double rooms that accommodate up to three adults or two adults and a child and functional and comfortable family rooms with two bedrooms, children’s beds and sofa beds, that will ensure you have exactly what you dreamed for your holiday.